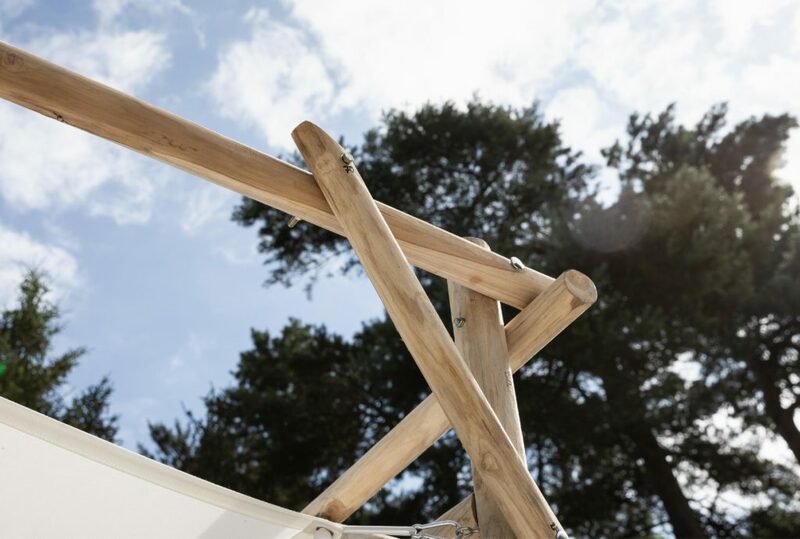 New in Apple Bee’s Rooty family is the pergola, built up with rustic tree trunks which give it the sturdiness it needs and a natural look. 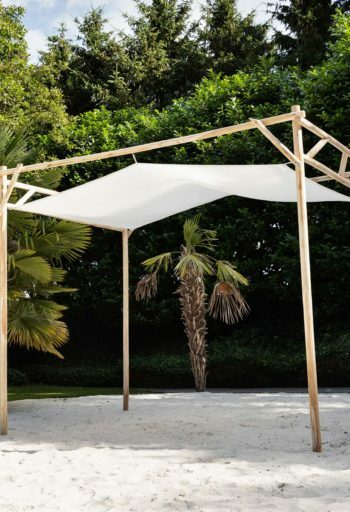 The pergola is 300 cm wide, making it ideal to place over a lounge or dining set. 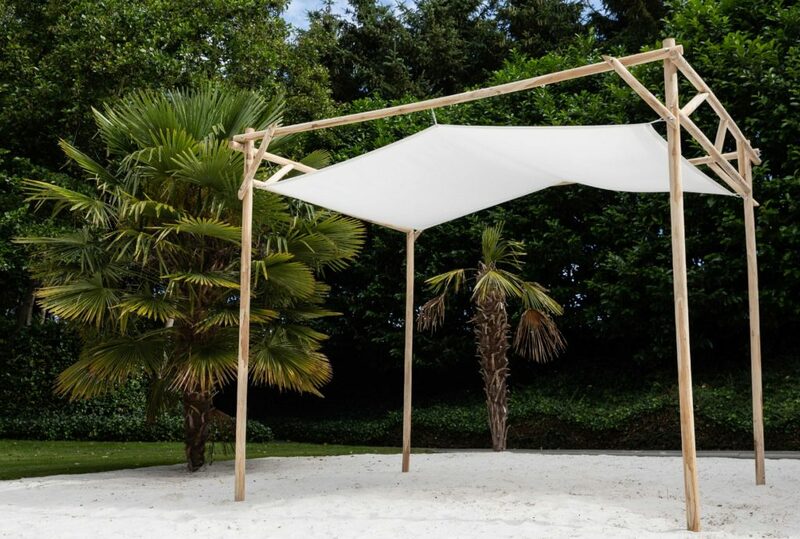 With the pergola, you will create a homely atmosphere in your garden or on your terrace. Now you can enjoy your meal with friends and family in a cosy and covered space. 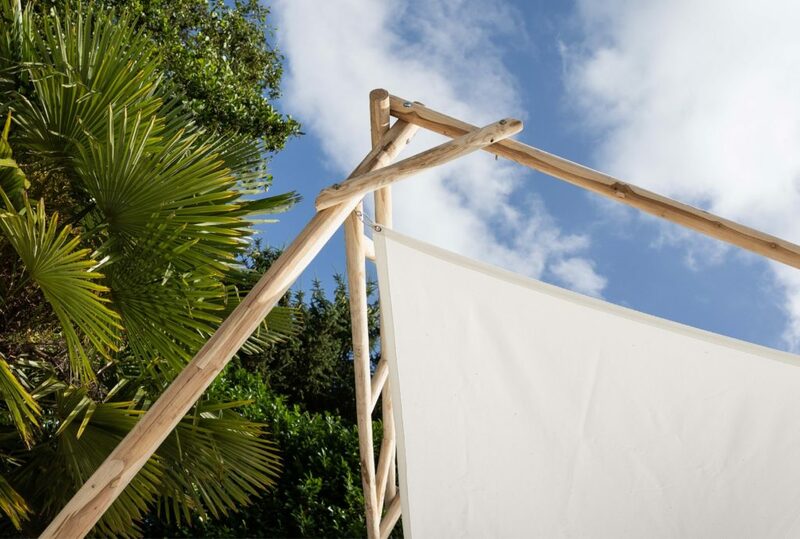 The removable tarps give you the option to either enjoy the sun or stay in the shade. 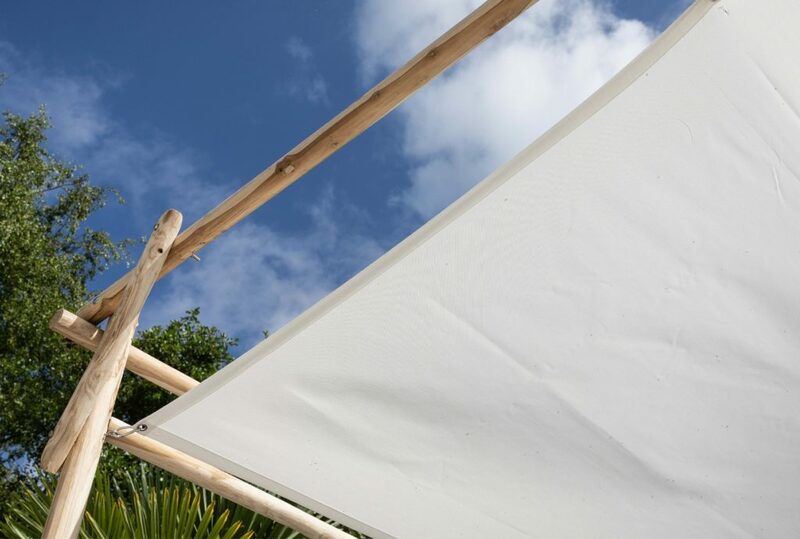 The Olefin material of the tarps dries very quickly and is washable.